Some of the diseases that cause blindness represent an indisputable epidemic and drastically reduce the quality of life of sufferers. The Institut has spent many years innovating protocols and drug treatments, with increasing success in finding effective treatments to ensure our patients gain and maintain their sight. The Institut is working on a various research projects, clinical trials, studies of treatments, therapies and diagnostic methods for degenerative and vascular disorders of the macula and retina in collaboration with other institutions, research centres and firms. These lines of research range from the clinical application of new molecules to arrest the advance of diseases to regenerative therapies using tissue or stem cell transplants, currently in the pre-clinical phase in animal trials. 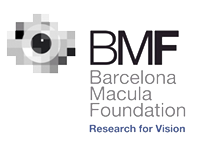 The Institut collaborates closely with the Barcelona Macula Foundation (BMF) and the research carried out by the centre is complemented with the pre-clinical research and basic studies promoted by the Foundation. These joint projects, such as regenerative tissue transplant therapies, are therefore enhanced by the contribution made by both institutions. In addition to the clinical research cooperation, both organizations collaborate on an innovative programme called Psychological Support Service. We believe it’s crucial for someone who’s suffered substantial loss of vision to adapt, so they can enjoy as normal a life as possible. Therefore the BMF offers this service free of charge to patients of the Institut de la Màcula.